Brian’s Goalie Wheel Bag | Sports Etc. 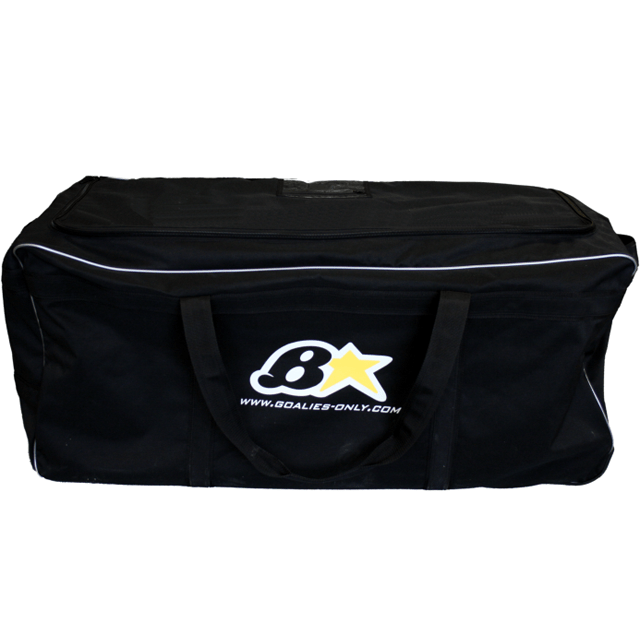 The Brian’s Goalie Wheel Bag has a 600D polyester construction and vertical stiffeners for increased durability. The three wheel design has large size wheels that help keep the bag from dragging on the bottom edge when heavily loaded. Inside end pockets for extra storage. The large dimensions are perfect for goalies or all ages.